So I came across Against the Darkmaster this week and it peaked my interest. The game is, according to its website, vsdarkmaster.com a fan developed game derived from the original Iron Crown Enterprises MERP. So right now the game is in the public play test stage and has a kickstarter planned for next year. This is just a literal first look as I have not even read the play test document yet. There are lots of things you want to see if you are looking at something that shares its DNA with Rolemaster and MERP. Open ended rolls are one and they are definitely in here, skills based characters are they are in here, combat tables are here and criticals. All of those you can tick off. The character creation is a little different to how I remember MERP being. Here you just get some may bonus points to distribute between your stats. This not uncommon in Rolemaster circles as the actual 1-100 stat is never used just the stat bonus. vsDarkmaster has gone down the same route and scrapped the unused 1-100 stat and just kept the stat bonus. VsDarkmaster has eradicated the work Race from the game and uses Kin in its place. Despite the name change the kins are exactly how I remember the MERP races to be and they have even retained the Background options. If you never played Rolemaster or MERP then you can spend background points to get some form of bonus for your character such as a magic item as starting equipment or extra money or something less tangible like coming from a respected family or a bonus to one of your stats. Characters each have a culture and these give you a selection of skill ranks that you can spend buying skills. Skills are all grouped into categories and the cultural skill ranks are distributed amongst these categories so you cannot just pile them all into combat or magic! Character classes or Professions are called Vocations in vsDarkmaster. There are six vocations in this play test version Warrior, Rogue, Strider, Wizard, Animist and Dabbler. the first three have no magic and the last three are all spell casters. 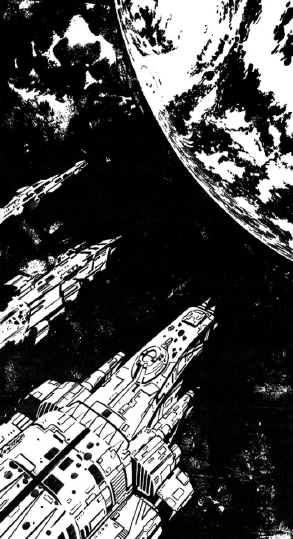 I was looking for a simple science fiction roleplaying game on DTRPG when I stumbled upon Stellar Adventures. It especially piqued my interest since one of the authors listed in the credits is none other than Jonathan Hicks aka The Farsight Blogger. Only on a second look I realized that Stellar Adventures is actually a game based on Advanced Fighting Fantasy 2nd Edition, a roleplaying game inspired by the Fighting Fantasy game books of old. Stellar Adventures itself is a 130-paged PDF containing all the rules you need to run games in basically every scifi setting imaginable. The core rules itself are pretty easy and straightforward. Each time the outcome of an action is uncertain you roll 2d6 and compare the result with your SKILL value. Is it lower or equal than your SKILL, you succeed. Otherwise you fail. Characters can learn special skills, that grant bonuses to their SKILL rolls. There are also talents which grant the characters special abilities beyond mere bonuses. All-in-all characters have four characteristics: SKILL, STAMINA (basically hitpoints), LUCK, PSIONICS or TECH. The latter is only used with robot characters and is a measure of the technology used to construct them. It should be obvious that the mechanics are not as deep as in something like Starfinder, but they are perfectly fine for one-shots, online or convention games, or even short campaigns. What really surprised me, is that Stellar Adventures contains basically everything you might need in a SF game: there’s an extensive equipment list, rules for robots, starships, sector and planet creation, rules for designing your own aliens, mutations, cyberware, and much more. It’s not only a simple SF game but actually a complete toolbox. If you wanted to run a game inspired by Star Trek or Traveller, you should have no problems at all. Heck, the warp drive described in the rules is basically the Traveller Jump Drive with serial numbers filed off. The layout and artwork of Stellar Adventures is definitely old-school. It looks like something from the early 80s, but luckily it’s better organized and better written than a lot of the games from that era. So should you get a copy of Stellar Adventures? I’d say yes! Aside from its old-fashioned looks it’s a small gem. The simple rules are perfectly suited for online and convention games and on 130 pages you get a toolbox full of material! If you also own the Advanced Fighting Fantasy rules, you can even combine the two since the mechanics are fully compatible. Stellar Adventures is digitally available from DriveThruRPG and sets you back $14 or your local equivalent. Print copies are also available from local and online stores.